I really love the idea of custom created chocolate bars. And I could literally spend hours coming up with different bars (and I have! ), so when the folks at Chocomize contacted me and asked if I would like to give their bars a try, I could not resist. I did several bars. Some of them are pretty interesting in terms of ingredients -- at least I think so -- but I also wanted to try something simple, because sometimes simple is really best. 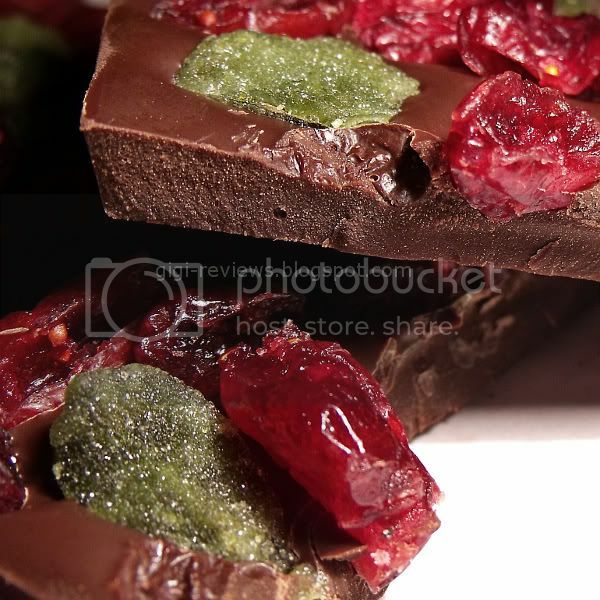 The "Ahhh" bar is made up of a dark chocolate base, with dried cranberries and crystallized mint leaves. The bar itself looks beautiful. 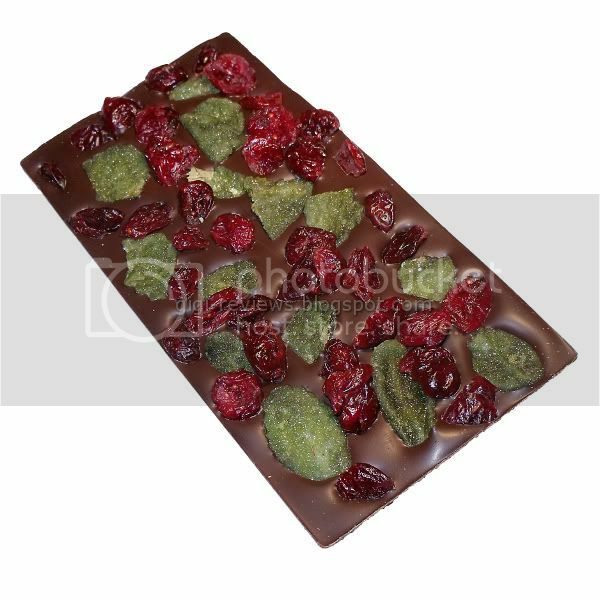 The colors of the cranberries and the mint leaves are really vivid and allow the smooth and dark-looking chocolate to show through in little patches. The bars were well molded and arrived in perfect shape. 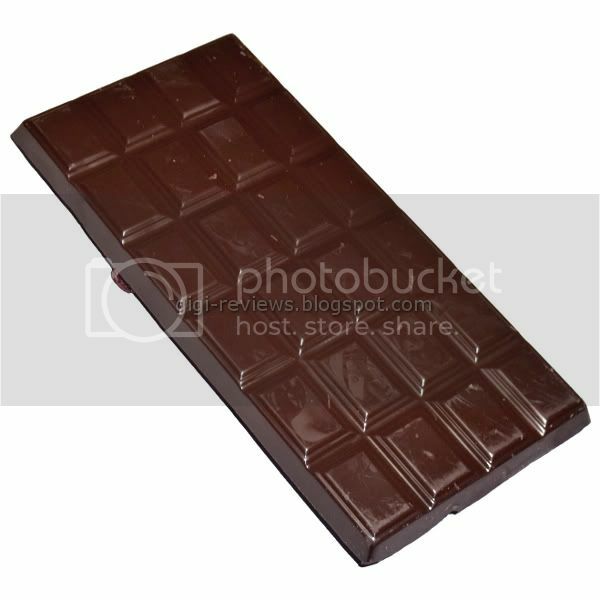 The ingredients are embedded in what is technically the bottom (or underside) of the bar. The top is simply molded and very, very, glossy. The dark chocolate: It's a 56% dark chocolate. Not the deepest, darkest chocolate by any stretch, but it does have a good flavor. It's got strong coffee notes, and a sweetness that I wasn't expecting -- but it's not so sweet that there isn't a slightly bitter edge. Honestly, it reminded me more of a deep milk chocolate than a true dark. The melt is very smooth and it feel silky and cool on the tongue. I tend to like my dark chocolates, well, darker -- but this was pleasant and it would be a good gateway dark for newbies who want to expand beyond milk chocolate. 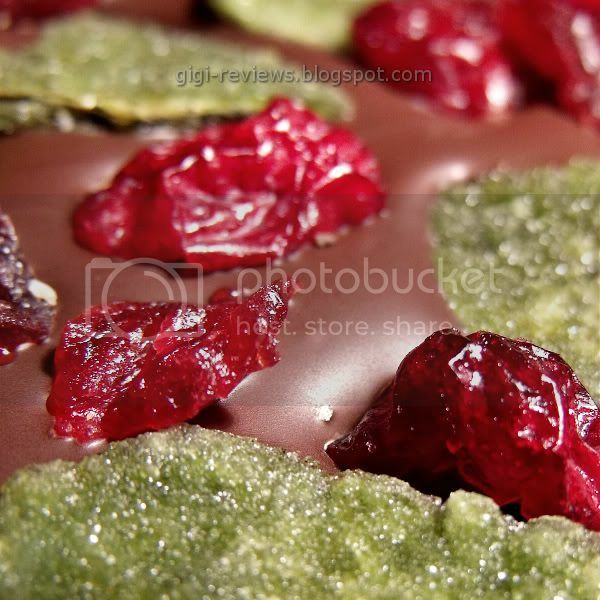 The cranberries: These were great! Very plump and sweet and also very fresh. They were even still soft! Not to toot my own horn (and not basing the rating on this either), but I have to say that cranberries, mint, and dark chocolate is a pretty damn good combination. This bar has definitely got me looking forward to my other Chocomize bars. The folks at Chocomize also want you to give you a chance to make your own bar (or try my combination). 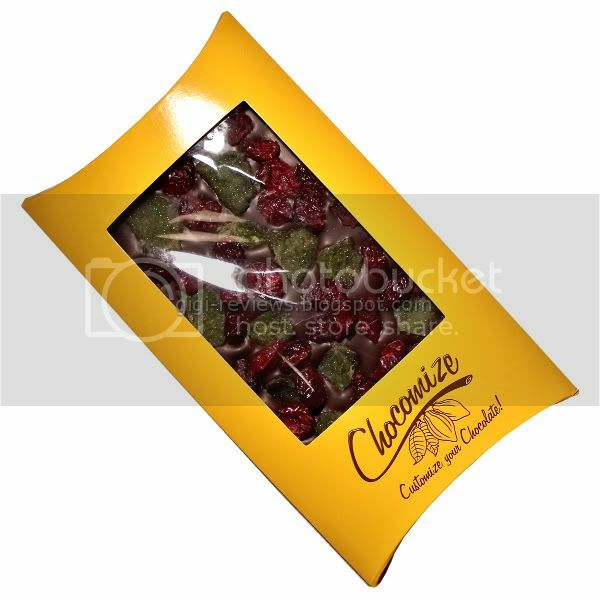 So visit them at chocomize.com and use coupon code "Gigi" at checkout to get 10% off your order! 118 calories per 1/5 of a bar. May contain traces of milk, nuts and gluten.